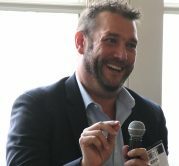 Welcome to episode 12 of The CUInsight Experience podcast. Hosted by Randy Smith, co-founder and publisher of CUInsight.com. 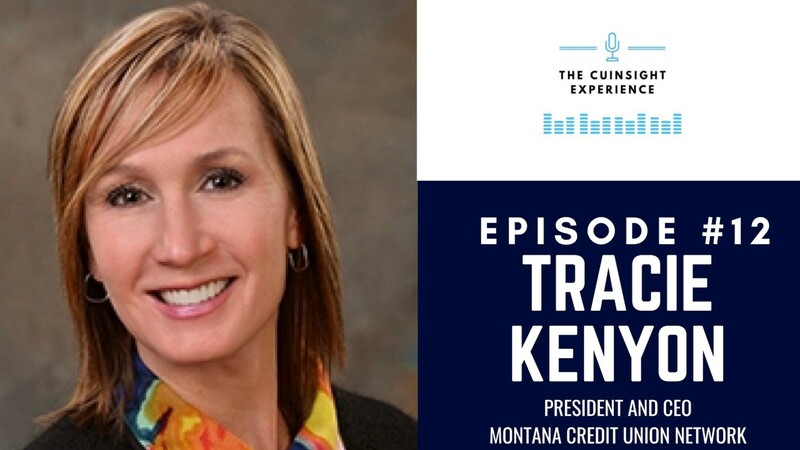 I’m delighted this week to welcome Tracie Kenyon, the president and CEO of the Montana Credit Union Network, onto the show today! Tracie is also the board chair of Filene, and a board member of Western CUNA Management School. You can read more about Tracie here. Our paths have crossed many times over the years, but I’m excited to get to know her better and dig deeper in today’s conversation. Tracie will start our conversation off by explaining what she means when she talks about embracing the simplicity of the credit union model (which, she points out, doesn’t mean that there isn’t complexity). She shares her excitement that real members sit at the table and make decisions based on what’s best for members rather than the bottom line. She’ll also dig deep into why credit unions aren’t like banks (and I wish you could see the look on her face in reaction to hearing the comment that credit unions and banks are the same!). Tracie and I are both big fans of the DE Program because of its ability to help attendees open their eyes to new facets of credit unions. Tracie sends all her staff through the program, and I’m trying to get everyone at CUInsight to go through it as well. If you’re on the fence about going, tune into the episode to hear about what a powerful experience it can be, and I think you’ll be convinced! Other topics we’ll cover are helping change-adverse people handle new things (and why mixing things up is so important, and how she was inspired to take her position and whether that inspiration has changed over the years. Speaking of change, Tracie will also dig into the changes she has seen in credit unions since she started working in them, as well as what changes she expects to see in the future. This was a fantastic conversation, and I look forward to sharing it with you today! Shout-out to the October 1998 class of DE. Are you a CUDE? If not, you should be. Find out more here. Meet the talented staff of Montana’s Credit Unions here. More about the AARP free tax help in Montana mentioned here. Shout-out to Scott Earl for the advice to Tracie that she has kept with her. Tracie’s ask of our listeners: Go to DE! Previous guests mentioned on the show: Jill Nowacki, Jim Nussle, Sam Paxson, Gigi Hyland. [00:03] – Randy welcomes listeners to this episode, and introduces today’s guest, Tracie Kenyon. [02:39] – Tracie explains what she means about embracing the simplicity of the credit union model and its inherent goodness. [04:39] – Is there something that Tracie has done in her career to educate people on the credit union difference? [06:03] – We learn about why the DE Program is so important to Tracie, and something that she ensures that her staff experiences. [08:30] – Randy shares a story of his own experience at the DE Program. [09:36] – Tracie talks more about the unique connections that can form through the program. [10:55] – Why is change and mixing things up so important to Tracie? [12:52] – We hear Tracie’s advice for helping change-resistant people manage change and see it as a positive. [17:00] – What inspired Tracie to take the position as the president and CEO of the Montana Credit Union Network? [18:42] – We hear about whether that inspiration has changed after her time on the job. [21:31] – We take a step back, with Tracie talking about how she got the board to buy into her vision when she was fairly new in Montana. [24:37] – For young leaders, does Tracie have any tips about walking away from a project that might not be in their wheelhouse? [27:43] – Tracie talks about whether there has been a big change that she’s noticed over her time working in credit unions. [30:15] – Is there a belief held by credit unions currently that Tracie believes will have to significantly change in the foreseeable future? [32:07] – We learn about how Tracie would describe her leadership style, as well as how her team would describe it. [34:51] – Has Tracie always been the way she is now, or is it something that she has developed over time? [37:00] – Tracie chats about whether there’s a piece of advice that she has carried with her through her career. [39:20] – Does Tracie have any hacks to get through to the other side when she runs up against a wall? [41:42] – Tracie talks about her outside passions, and what she does on the rare occasion that she has a day off. [43:26] – We start off the rapid-fire questions: does Tracie remember the first time she got into memorable trouble? [45:29] – Does Tracie have any routines that her day feels off if she doesn’t do? [46:28] – What’s the best album of all time? [47:51] – Is there a book that Tracie has recommended or bought for people frequently? [48:45] – As Tracie has gotten older, what has become more (and less) important to her? [49:32] – Who is the first person who Tracie thinks of when she hears the word “success”? [52:23] – Does Tracie have any final thoughts, or asks of the audience?